Introducing, Charlotte (AKA- Charli) Grace! This gorgeous girl came to see me today at 23 days old. Doesn’t she have the most beautiful head of hair?! 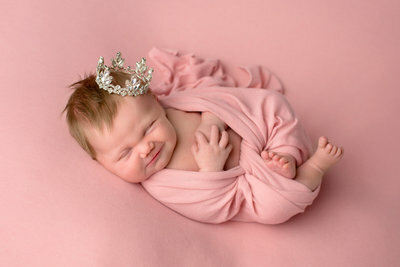 We styled her session with pinks, greens and florals to match her nursery. 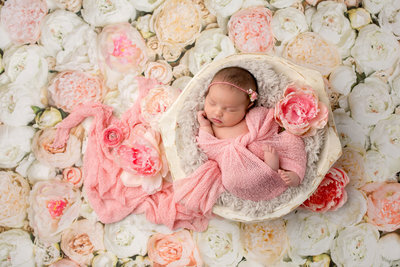 I especially love the beautiful floral blanket that Mom brought in to personalize her session!